As the crisp air of November hit us, we saw teams from division one and two roll into ISCA this past weekend with one thing on their mind, and that was business. 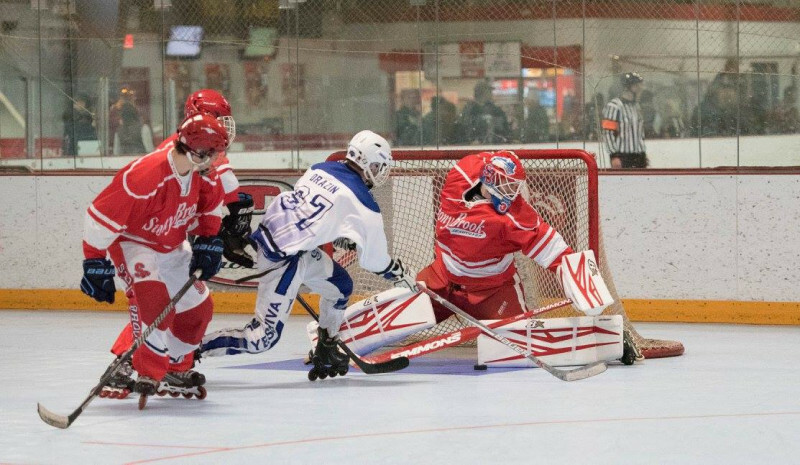 In an eventful weekend, with overtime games, high scoring shootouts, and even an unfamiliar foe from the south, the competition in the ECRHA did not disappoint. One thing is for sure if it wasn’t already known heading into this weekend. Farmingdale is going to be a tough task for anyone to take down this year. The Rams made slight work in each of their three games at ISCA. Their first game of the weekend against Temple saw the Rams score three goals in a matter of 45 seconds, as they took a 3-0 lead 5:54 into the first period and did not look back, Farmingdale would take this one by a score of 11-2, led by a 7 point performance from Jake Corso. In the second contest of the weekend. Farmingdale would participate in the first inter-conference matchup of the season against visiting Florida Gulf Coast. FGCU would keep the shots relatively close throughout the game, with Farmingdale gaining the edge 29-22, however, the Rams made sure to make their shots count, as they would shut out the Eagles 9-0. To finish off the weekend, the Rams would handle a struggling Rowan team that would only manage 18 shots on goaltender Muccio-Schrimpe, as he would stop 16 in a 7-2 win. Farmingdale now improves to 9-0 on the season, and right now are front runners as favorites in the ECRHA. Aside from a disappointing showing against the defending champs, the Temple Owls showed some promise at ISCA over the weekend, that hopefully they can maintain heading into the Spring portion of the season. Saturday night, the Owl’s found themselves walking away with what could turn out to be a huge win over UMass 6-3. This game was back and forth through much of the first two-thirds of the game, with the teams trading goals and seeing themselves knotted up at 2 after 2. But, in the third period, it was Ralph Grillo who would emerge, showing why he is a leader of this Owl’s team. Scoring all three of his goals in the third period, two unassisted, and adding one on the power-play to give Temple the edge. It seemed as though after this win, the Owls smelled blood, as they would come out Sunday morning and earn a statement victory over Rhode Island, 11-2. Cody Baldwin would stop 23 shots for the victory, and Ralph Grillo would add 6 more points to his point total on the season. Temple finished the weekend going 2-1, and really improving their confidence, and resume heading into the Spring. A team that did not have as impressive of a weekend as Temple is the Ram’s of Rhode Island. Rhode Island has had a tough road this season so far, and that continued this past weekend, with losses to West Chester 2-6, non-conference Florida Gulf Coast 2011, and Temple 2-11, the Rams have yet to reach their first win on the season, and have given up a lot of goals as well. However, do not let the scoreboards and their 0-8-1 record fool you. Rhode Island is a good team, with promise, and the ability to score goals. The Rams will return to action January 27th in ISCA, and don’t be surprised if they take on the role of spoiler and surprise some teams with victories later this year. Another team who did not have the weekend they had hoped for were the Rowan Profs. Things looked good to start the weekend as they edged out a 4-2 win against Rhode island Saturday morning, led by 24 saves from goaltender Patrick Finnegan. However, their run was seemingly stopped dead in it’s tracks later Saturday afternoon as they were put away by UMass 8-2, followed by a 2-7 loss to Farmingdale Sunday. Rowan is currently 1-4-1 on the season, but is only four points out of that highly desired 6th spot in the standings. The Prof’s will return to action this weekend in Feasterville with four games on the schedule. The Minutemen of Massachusetts had a roller coaster weekend in ISCA. As they started the weekend in an inter-conference matchup against Florida Gulf Coast. Now, as some newcomers may not know. 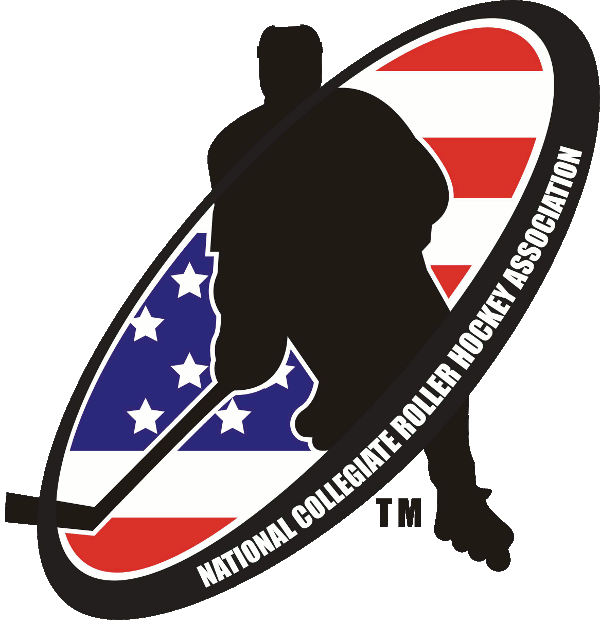 Inter-conference matchups do not affect a team’s standings within their region, however, as is similar to other college sports such as football, and basketball, these games are still looked at and considered for the NCRHA National Championship. UMass made sure to make their game against the Eagles count, and took a commanding 4-0 lead early in the second period. FGCU fought back throughout the second and third, but were not able to tie the game late, and UMass came out on top, 4-3. The Minutemen would continue rolling into their game at 2pm on Saturday against Rowan, led by Donald Brodd’s two goals and three assists, UMass got their second win on the weekend with a final score of 8-2. However, the rest of the weekend lulled for the Minutemen, as they gave up 3 goals in the first period to West Chester and could not overcome the early deficit, falling to the Rams 3-2, and in their last game of the weekend, Temple’s tandem of the Grillo brothers proved to be too much, as UMass would fall to 1-2 on the weekend in ECRHA action. West Chester came into ISCA off of a loss to Slippery Rock in Harrisburg, and were looking to redeem themselves and establish themselves as a top team in the division, and they did just that. Led by Derek Hoffman’s 7 points throughout the weekend, the Rams were able to control Rhode Island in a 6-2 win Saturday afternoon. West Chester would follow up their win with a hard fought victory over UMass later 3-2. To close the weekend, in their third game of the day, the Rams would be able to take care of visiting Florida Gulf Coast 6-4, finishing the weekend 2-0 in ECRHA play, and 1-0 with the inter-conference win against FGCU. In Division Two, we saw a lot of great teams and a lot of great action throughout our two days in ISCA. Endicott is a team that came into the weekend with six games played, and were looking to improve their position in the standings against some familiar foes. The Gulls started the weekend against the RIT Tigers. Endicott started off the game slow, being outshot heavily in the first. 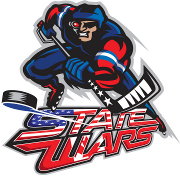 However, they would seemingly get their legs in the second with a quick power play tally by captain Corey Eisenband. As the second period continued, Endicott goalie Matthew Klarnet stopped shot after shot as he was bombarded with shots. Although RIT totaled 15 shots in the first period, and 13 in the second. Endicott would find themselves with a 3-1 lead after two periods. That would be all for the Gulls scoring though, as RIT would tie the game in the third, and finish the game in overtime. The Gulls would continue their winning ways against Syracuse 6-4 as well as Oswego 7-3 with Eisenband leading the charge with 6 goals and 2 assists. In what possibly was the closest game of the weekend, Endicott then would take out the Macabees of Yeshiva 6-5, holding off a late period comeback attempt by Yeshiva to finish the weekend at 3-0-1. Speaking of impression weekends, the RIT tigers, after earning their first win in overtime, continued their winning ways through the weekend against Oswego 7-1 and Syracuse 7-3 in convincing fashion. This then set them up for a matchup with the first place Northeastern Huskies, where the Tigers would go down quickly, with Northeastern taking a swift 3-0 lead in the first. The Tigers Kyle Lewandowski would bring the game within two on the power play, however Northeastern would control this game from start to finish, with RIT falling 6-2. The Tigers finished the weekend 3-1, earning a solid six points on the weekend. Syracuse was a team that we saw with a tough slate of games heading into the weekend. Entering ISCA the Orange were hovering around the bubble in the standings. Syracuse would have a schedule of Endicott, RIT, and Northeastern throughout the weekend which they would lose 4-6, 3-7, and 1-5 respectively. Although they came out winless on the weekend, do not overlook this Syracuse team. Each team they played currently finds itself in the top 4 in the D2 standings, and as they enter the spring, Syracuse’s schedule gets seemingly plays only one team, Yeshiva in the top 4, twice. The “Lakeshow” of Oswego was another team that most likely left North Arlington somewhat disappointed. Having four games all against top four programs, the Lakers would not be able to find a win on the weekend, finishing the weekend 0-4. The lakers shtruggled to score goals throughout, scoring more than 3 goals only once in their last game of the wekend. If Oswego can figure out how to start weekends stronger, they could find a way to move up the standings and make noise in division two in the Spring. Northeastern remains atop the standings in D2, and remains as the forseeable favorite. The Huskies would make the trip to ISCA and take command early with a 5-2 win over Oswego, followed by a 5-1 victory over the Orange of Syracuse, which they looked to control from puck drop to final buzzer. Many expected Northeastern to be tested in their final two games of the weekend against Yeshiva and RIT, however the Huskies proved that they are “the” team right now in Division Two by defeating the Macabees 8-2 and the Tigers 6-2 to finish the weekend undefeated. Yeshiva only had a 27 minute commute to get to ISCA, as one of the closer teams to make the journey, the Macabees would be less likely to suffer from the “travel legs.” However, they would meet the #1 ranked Northeastern Huskies who would control the game from start to finish 2-8. Yeshiva would then gain their feet for their Sunday morning tilt against Oswego that they would light up the scoreboard 7-5. The Macabees were not able to complete a miraculous 6-2 deficit against Endicott, where they just found themselves in a hole they were unable to climb from. Final score Endicott 6 Yeshiva 5. This weekend, we’ll see teams in each division travel to Feasterville, PA to wrap up the Fall semester. We’ll see teams such as Farmingdale in divisions 1 and 3 look to extend their leads in the standings, as well as teams like Robert Morris and Temple attempt to fight their wake back into the playoff picture. We’ll also have another group of inter-conference matchups as East Carolina will look to see how they stack up against division two ECRHA competition.